At the beginning, kenwooi.com was a Blogspot blog. That’s when the blogging hobby started innocently, and eventually grew into a passion. Today, it has been almost 3 years since kenwooi.com migrated to WordPress – certainly a rewarding decision. From modifying template, to editing individual comments – there is full control over the blog. 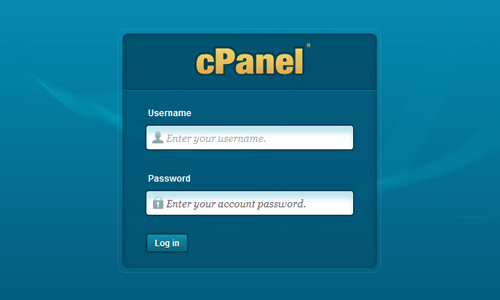 Even the back-end web hosting control is available with cPanel, such as access to the SQL database. Being a WordPress user, one important thing to do has to be… getting the right plugins. As much as Akismet claims to be the best way to protect the blog from spam comments, I don’t think it’s the best. Nevertheless, this plugin is still activated for unknown reasons. The truth is, it’s been around ever since I migrated to WordPress. Apparently this plugin denies automated spambots from accessing the blog. I’m not sure how it works, but it was installed ever since I migrated to WordPress as well. On the default WordPress setting, the number of blog posts selected to be shown on the home page… applies to other pages too, such as category, archive, search and tag pages. I’ve set “3” for the home page, but I want the other pages to list down all the posts. Hence, this plugin saves the day. It overrides the default setting, and allows different number of posts to be displayed on every individual pages. Setting “-1” means to show all posts. If you’re not aware, WordPress saves revisions – especially when changes are made to any blog posts. It’s good in a way, but are the revisions beneficial? Hence, this plugin is used to check for redundant revisions, delete them, and ultimately increase the speed of executing the database. It redirects the default WordPress feed link to the Feedburner link. This simple plugin adds Google Analytics to the WordPress blog. Just set the details and Google Analytics will start tracking the statistics. It generates an XML sitemap which assists search engines, like Google and Bing, to crawl and index the blog posts better. The sitemap is automatically rebuilt whenever updates to the blog are made. I super dislike spam comments, and prior to using this plugin, kenwooi.com used to get about 20 of them daily. Therefore, this plugin is definitely the ultimate way to stop such nuisance. It adds a checkbox to the comment form, which requires the commenter to “tick it” to prove that they are not a spambot. Problem solved, no more spam comments! ZERO! Jetpack enables the self-hosted WordPress to utilize the features only available on WordPress.com. One notable feature is the Site Stats. It’s a simple tool to monitor the blog statistics such as top posts, referrers, search engine terms, and clicks. This is another one of my favourite plugins – the related content display. It displays 5 (customizable) related blog posts, and potentially increase the probability of a reader to check out other blog posts. Previously on Blogger – the feed link used to be kenwooi.com/feeds/posts/default. Upon migration to WordPress, the feed has changed to kenwooi.com/feed. Knowing that the readers were subscribed to the Blogger feed link, I used this plugin to redirect it to the new WordPress feed link. The blog posts are summarized on the feed. As a result, it’ll only contain word content without any photo featured. To get around that, this plugin selects the first photo of the post and includes it on the summarized feed. An additional widget to display Facebook Like and Twitter RT buttons on the left of the blog. It’s not confirmed, but I suppose that the chances of the post being shared is… higher? But I sometimes disable it though. Backup is very important. What more can I say? The blog backup for kenwooi.com is scheduled twice a day – a precaution in case the web host goes cranky and lose all my blog data. There was a time when my hosting’s CPU usage was very high due to excessive blog load. Therefore, I started using this plugin. This speeds up the loading performance, eliminating the need of accessing the database, and coping with high number of daily visitors. Another problem solved! At the mean time, I’m gonna do some plugging-in of my own. Please do not disturb. Genius at work. sounds very pro and straight-forward..until the last photo which makes me burst into laughters lol! LOL. this post comes in handy as im downloading plugins for my bloggie! That’s damn a lot of plugins you’re using. Won’t some of them clash or something? I’m thinking of migrating to WordPress as well but afraid that it’d be too much work and might even affect my search engine ranking. I thought WordPress do not allow place ads. How u managed to put in ads? eerr.. look super genius. I intended to change to wordpress instead of blogspot. but i found out, wordpress is more complicated.hahaha… nice and informative post. your tip came in handy, thanks for sharing. anyways . . . all plugin that u listed out, I dunno what U talking about LMAO! :D GG!